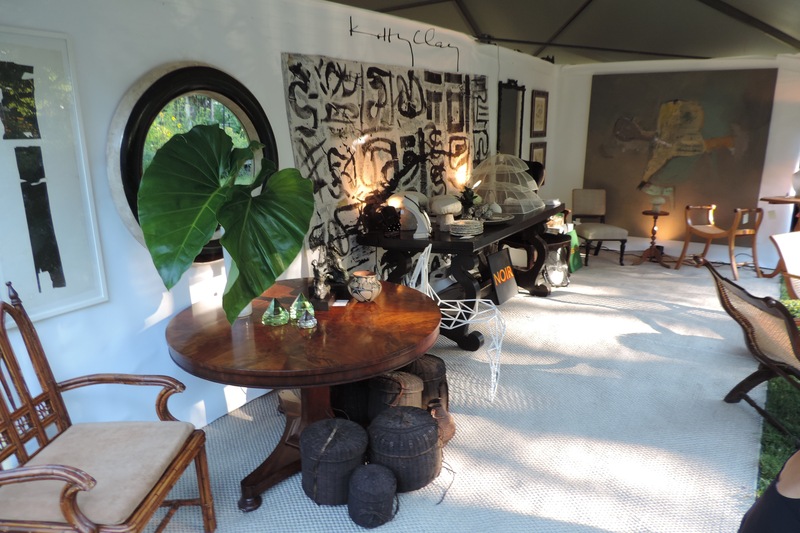 The East Hampton Historical Society hosted the East Hampton Antiques Show showcasing antiques and decorative items for the home and garden. 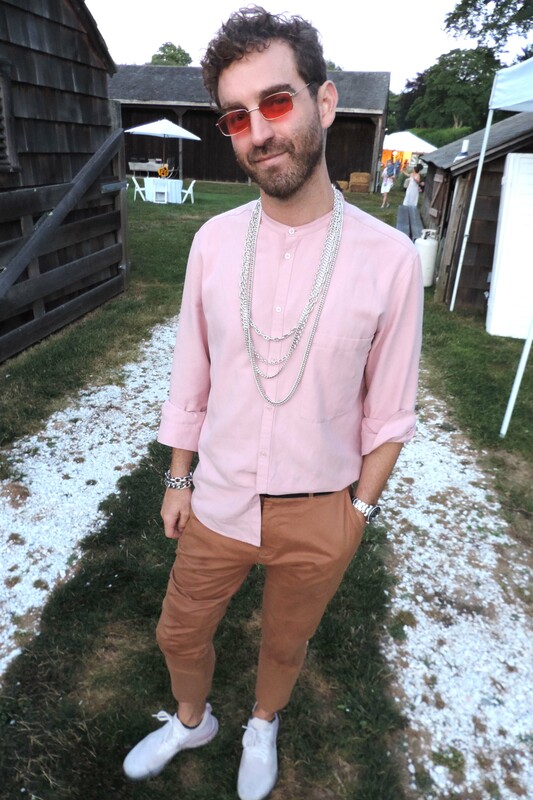 Interior Designer Scott Sanders was the Honorary Design Committee Chair. 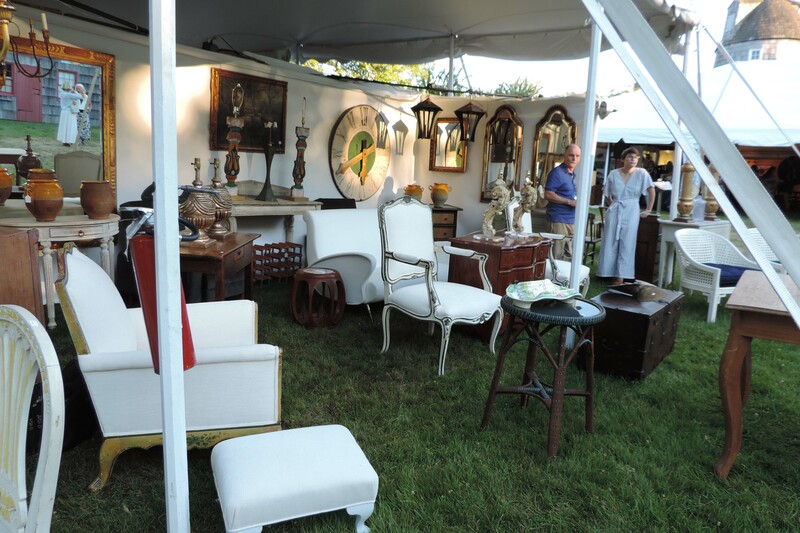 The show had nearly 50 dealers selling antiques, art, jewelry, and collectibles. 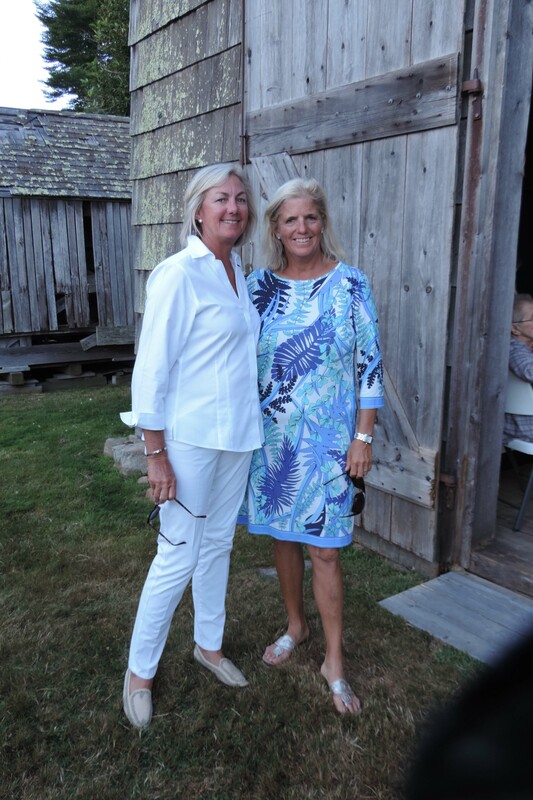 They are scattered across the greensward of the 17th-century Mulford Farm, housed in white tents and a historic barn. 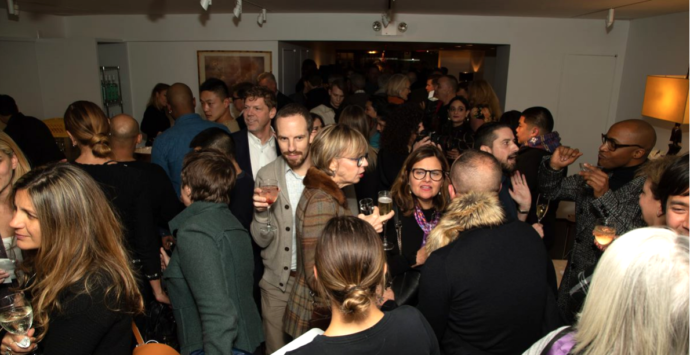 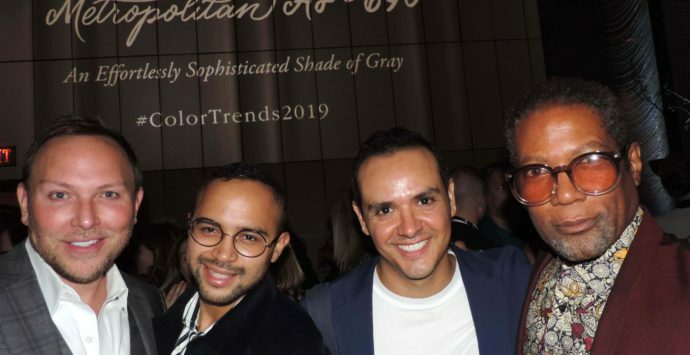 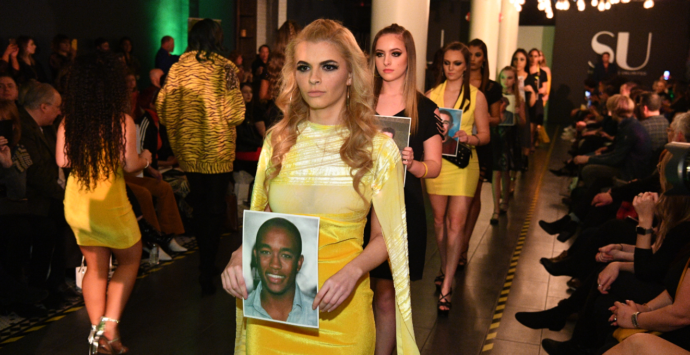 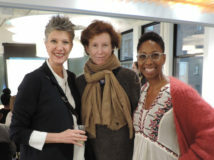 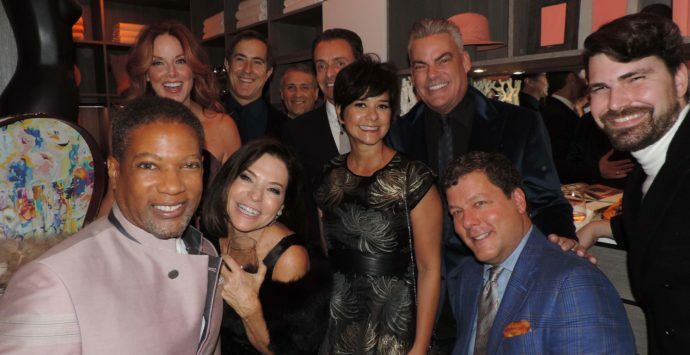 The opening evening gathered a variety of style ambassadors shopping for themselves or their clients while enjoying rosé wine and tray pass hors-d’oeuvres. 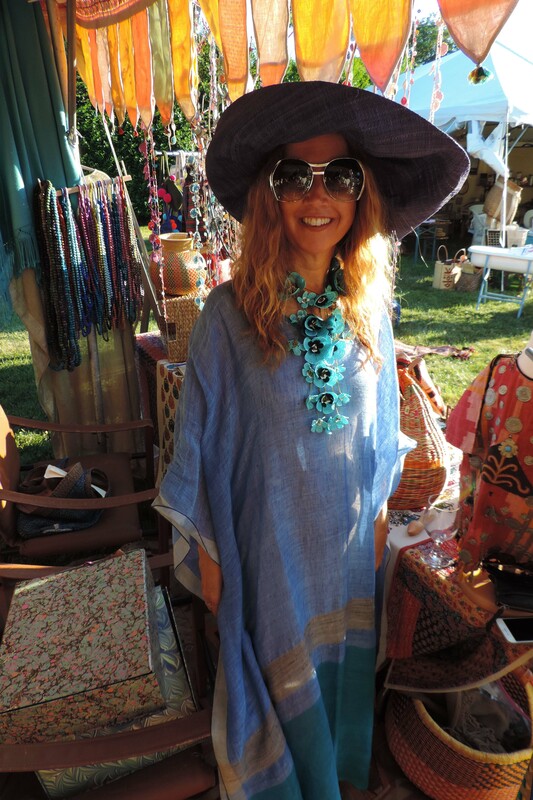 It just happened that I spent most of my time at Susana’s caftan boutique called ‘SUZANI‘. 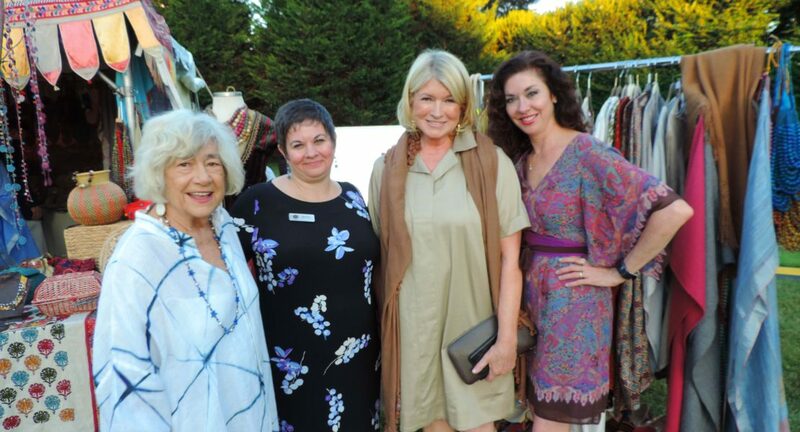 We arrived on the hot afternoon of Friday, July 20th at about 6 pm for the preview cocktail party. 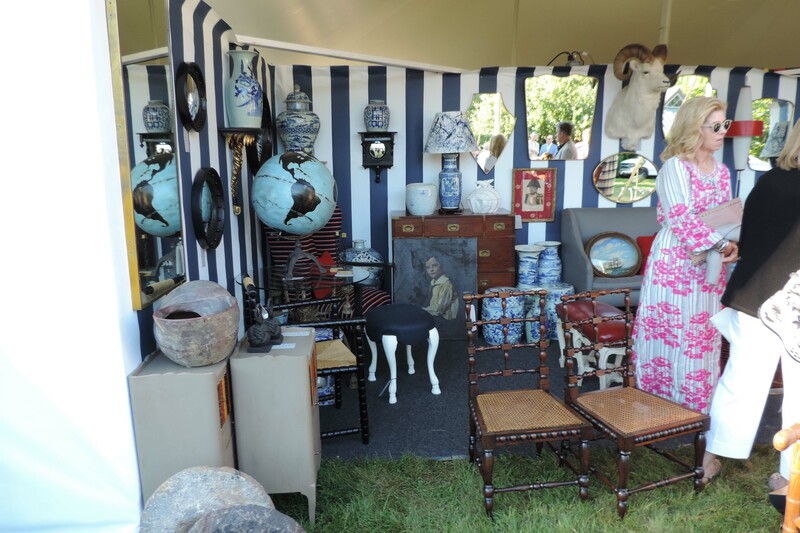 I spied some attractive antique hunters and thought I’d share some eye candy. 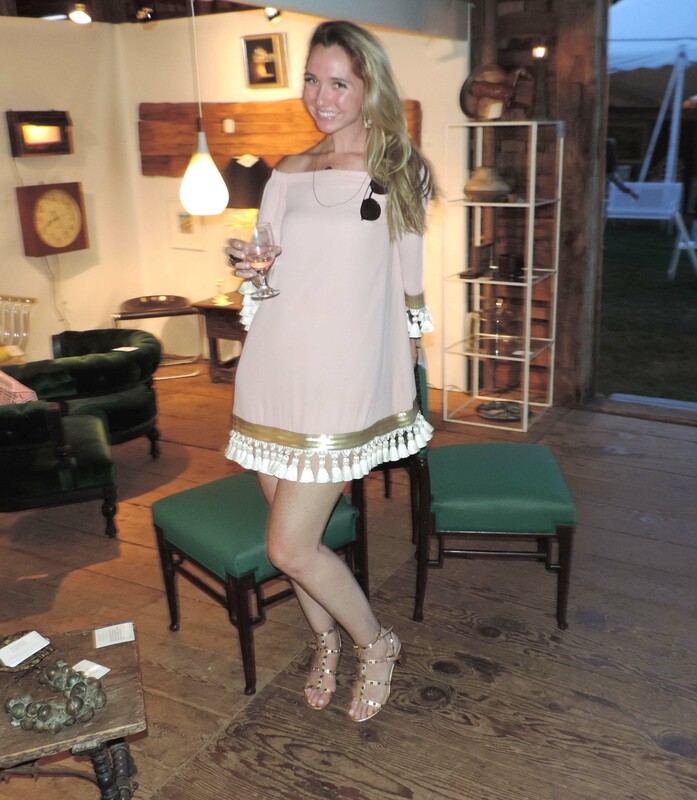 Sitting pretty at the East Hampton Antiques Show 2018. 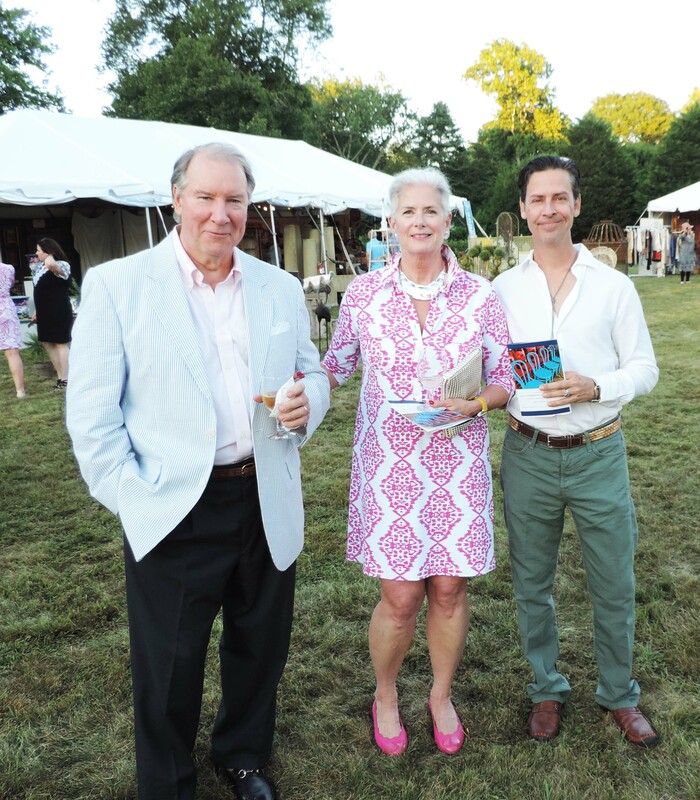 Gabby Stephenson + Randall Stephenson the East Hampton Antiques Show 2018.
chic color combo at the East Hampton Antiques Show 2018. 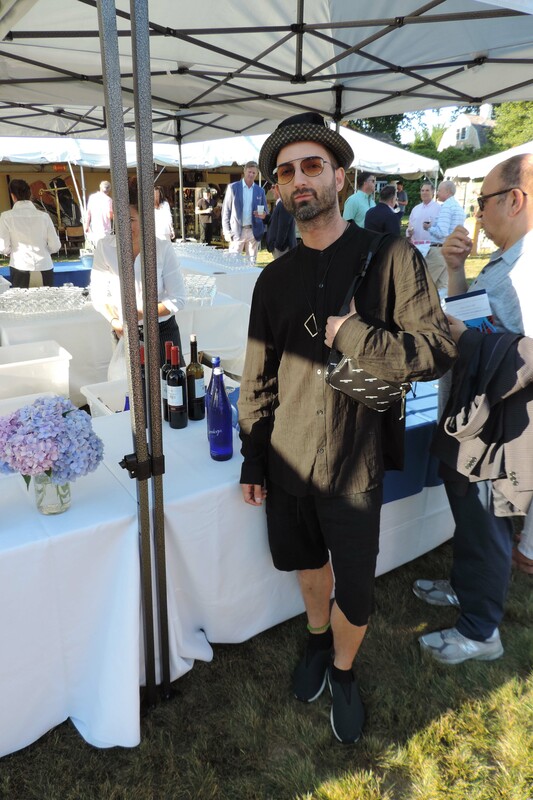 Gucci hat and ensemble at the East Hampton Antiques Show benefiting the East Hampton Historical Society. 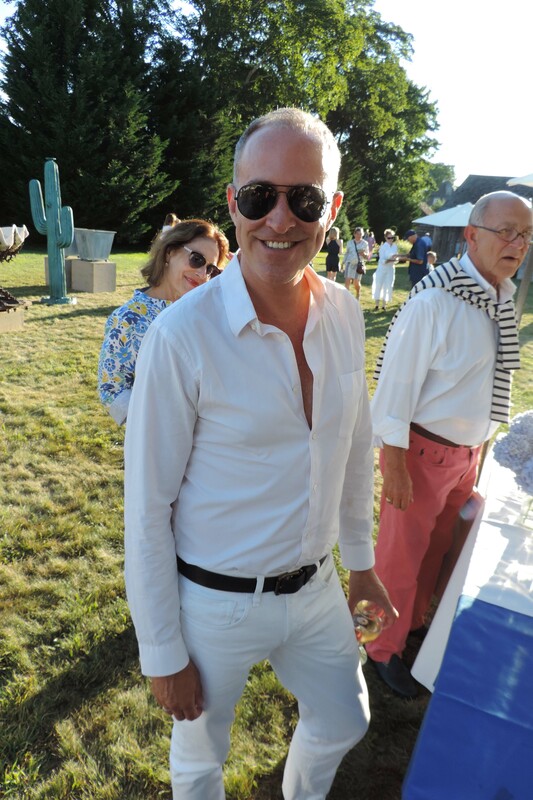 Garden party delight at the East Hampton Antiques Show 2018. 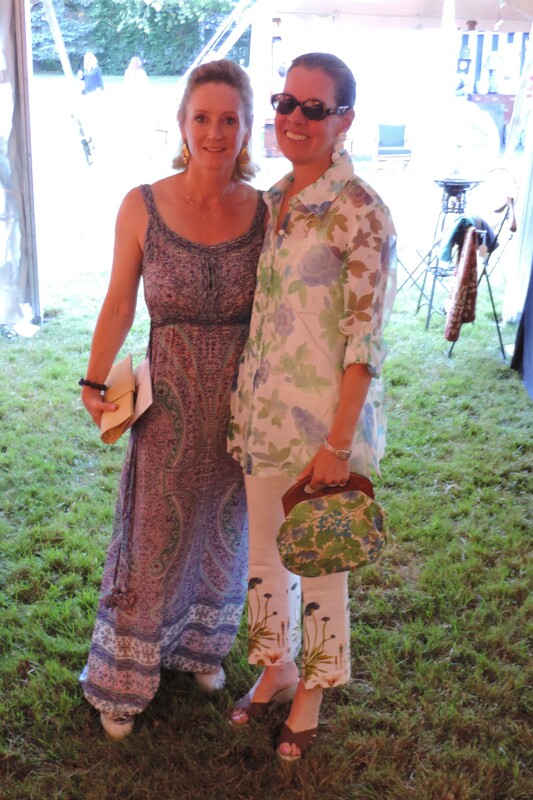 J E W E L R Y at The East Hampton Antiques Show. 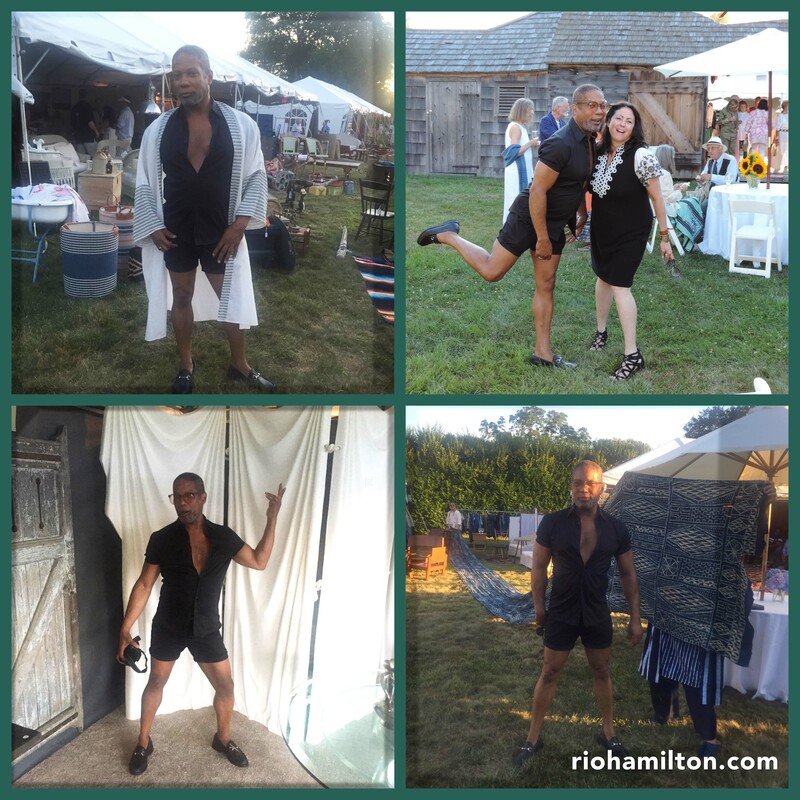 The event, now in its 12th year! 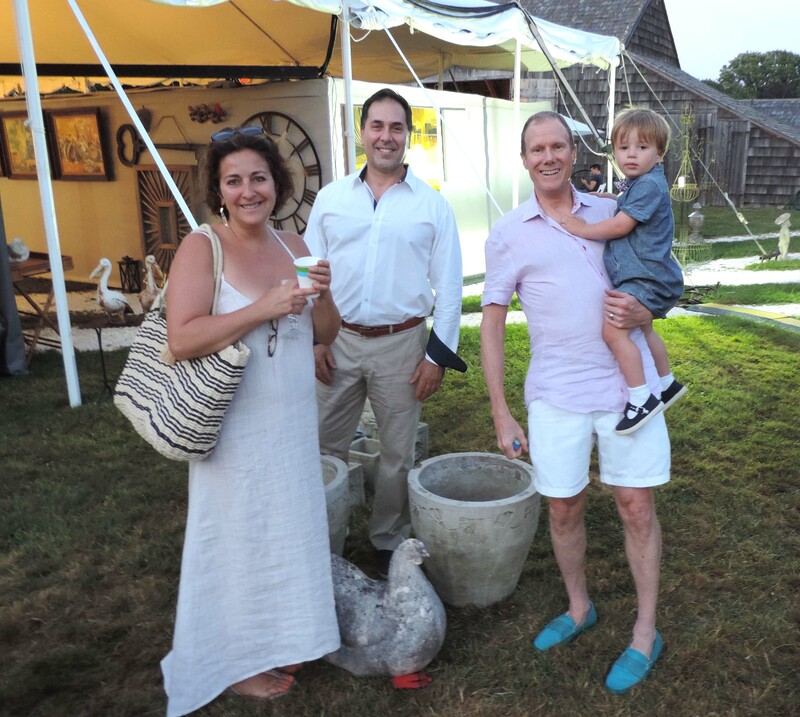 Halston poses with his parents and uncle along with their wonderful new purchases. 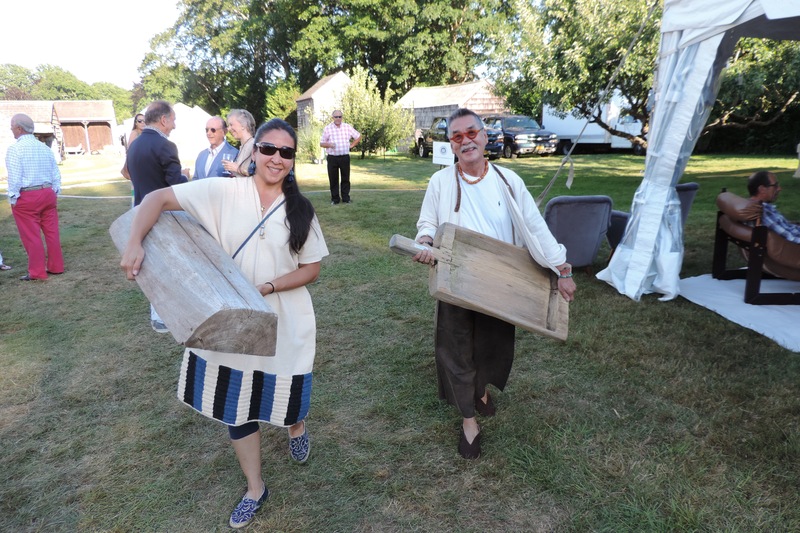 Furniture, wares, and art from some of the most respected antiques and art dealers were set up for East Hampton Historical Society’s show. 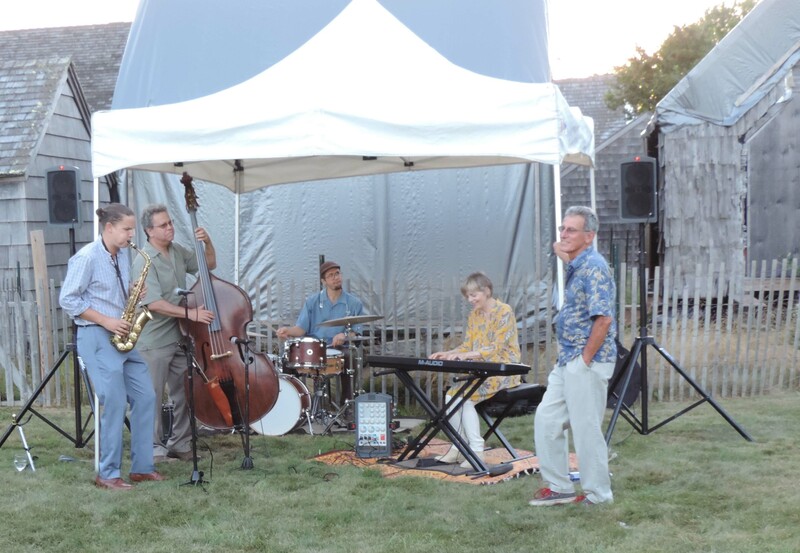 The band played live music at the Preview Cocktail Party which was performed by Jane Hastay and Peter Martin Weiss. 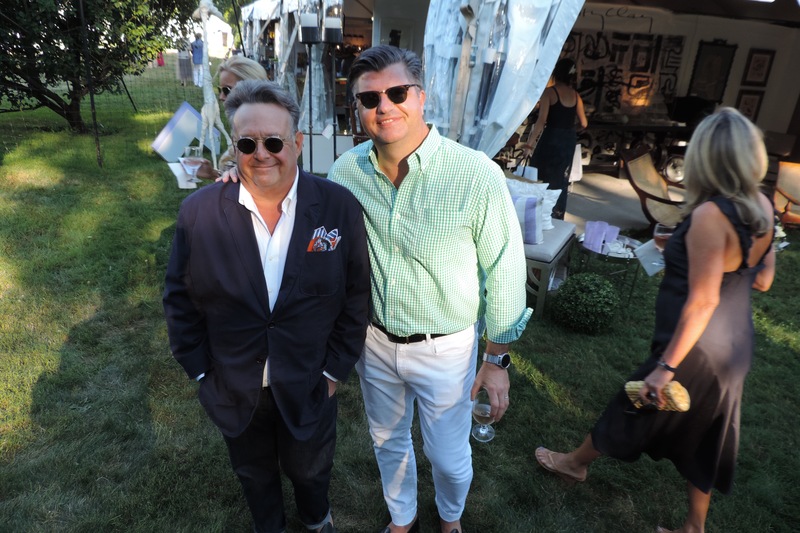 Steven Stolman + Richard Wilkie the East Hampton Antiques Show Preview Party. 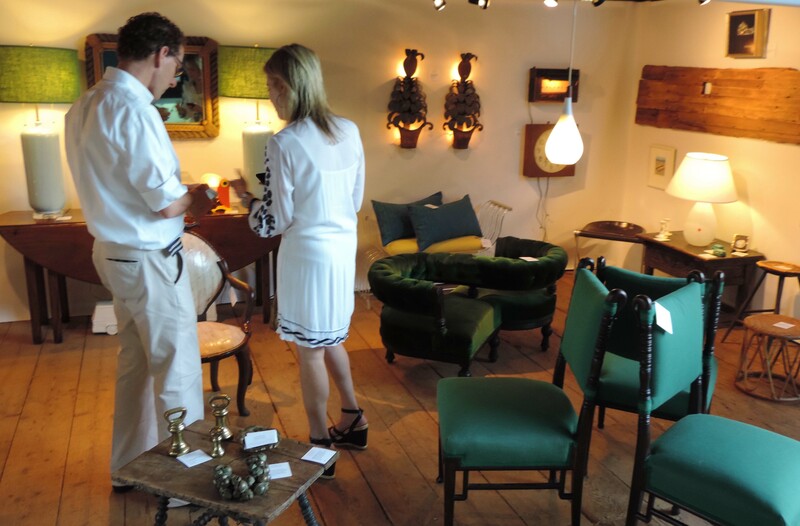 Coupling at the East Hampton Antiques Show Preview Party. 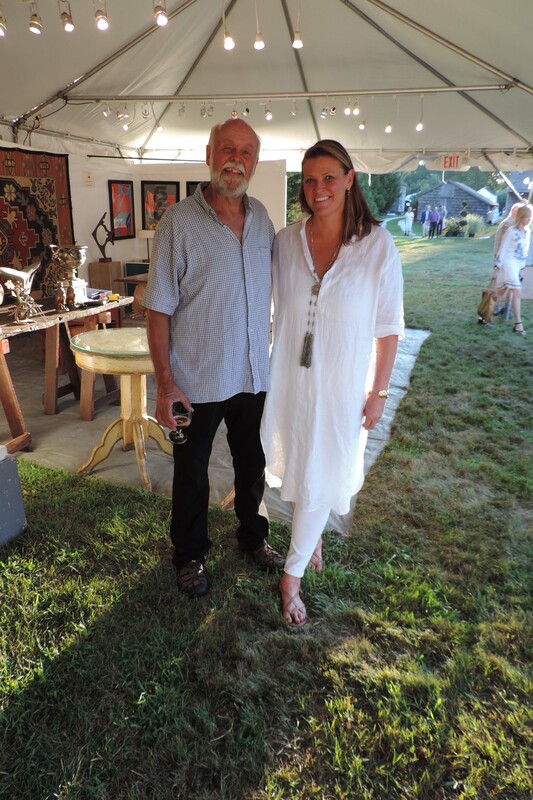 Interior Designers – Marshall Watson + Melanie Roy at the East Hampton Antiques Show Preview Party 2018. 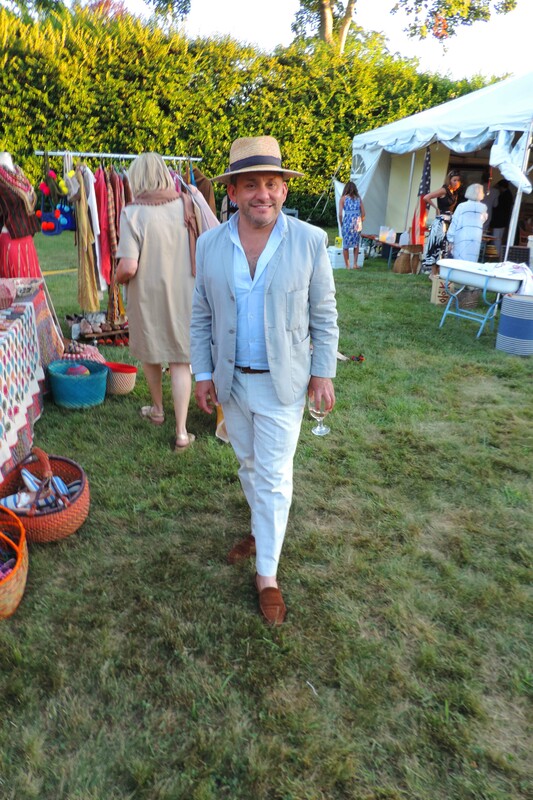 Alejandro Saralegui at the East Hampton Antiques Show Preview Party. 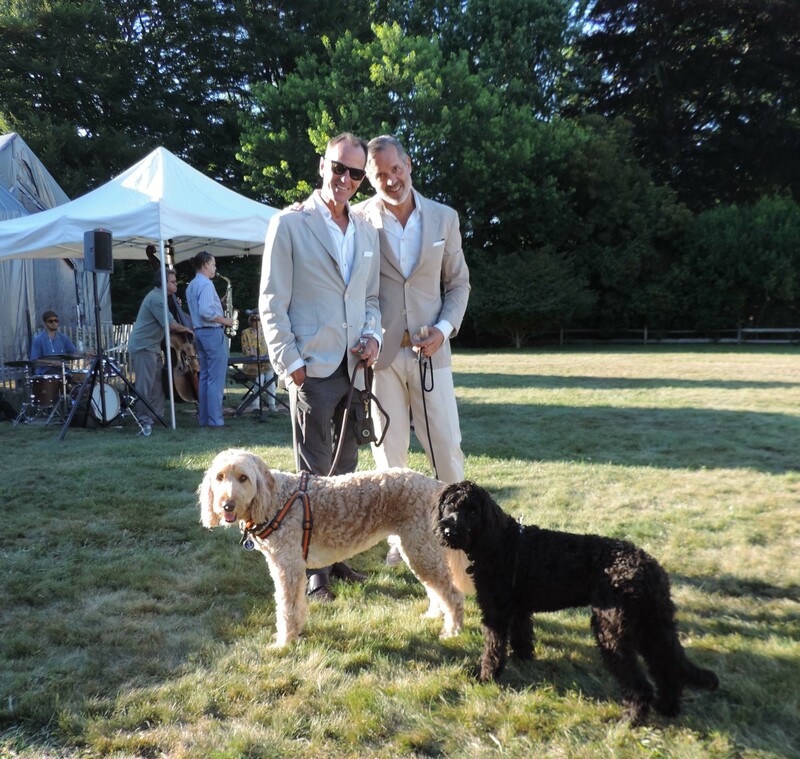 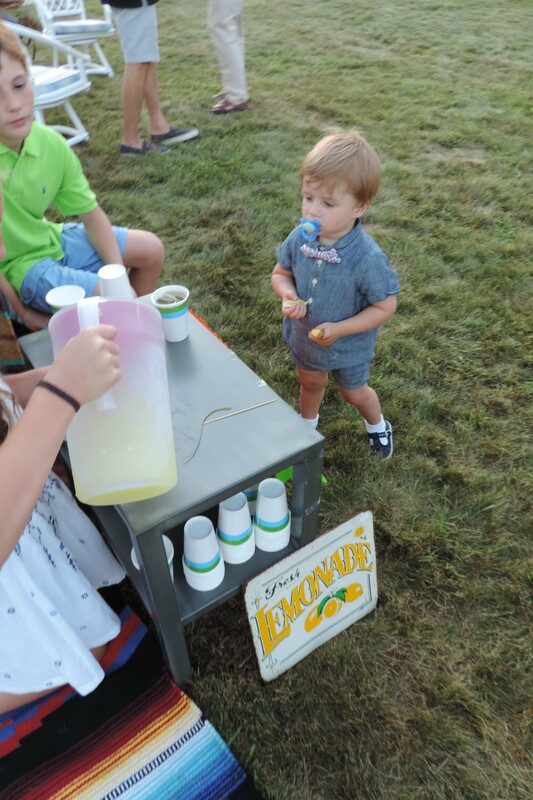 Adorable and best dressed at the East Hampton Antiques Show Preview Party. 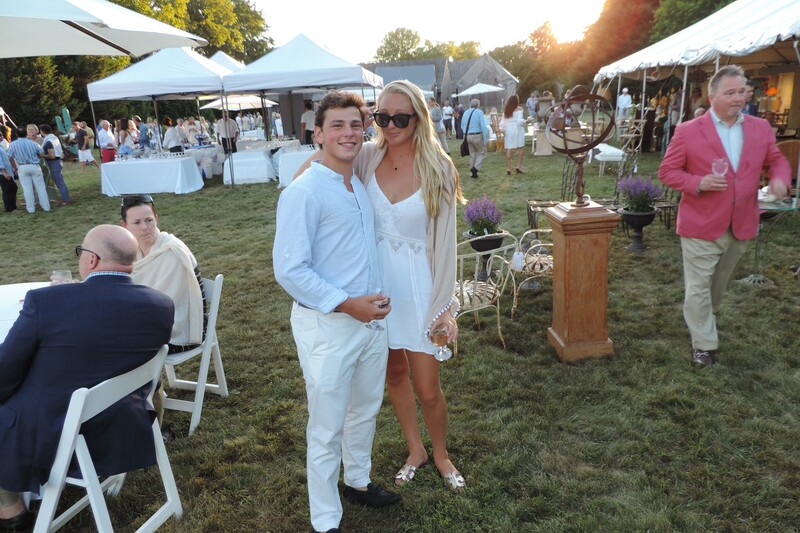 East Hampton Antiques Show 2018 all ticket proceeds went to the East Hampton Historical Society. 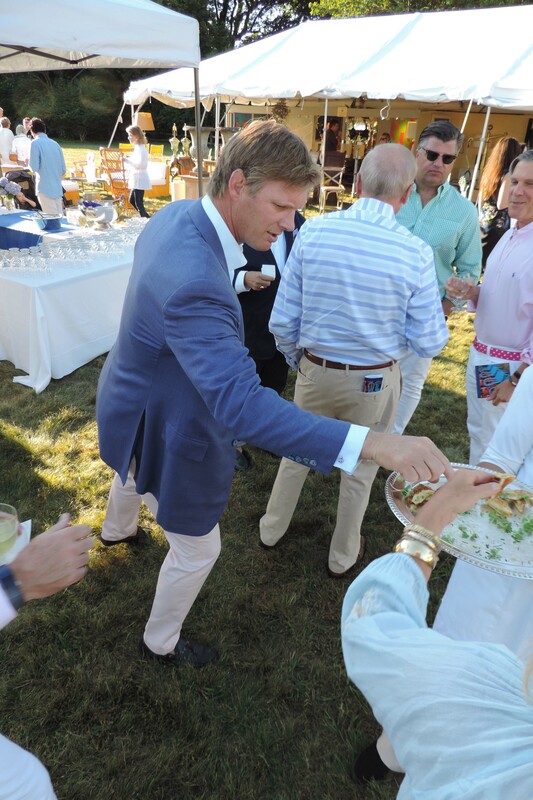 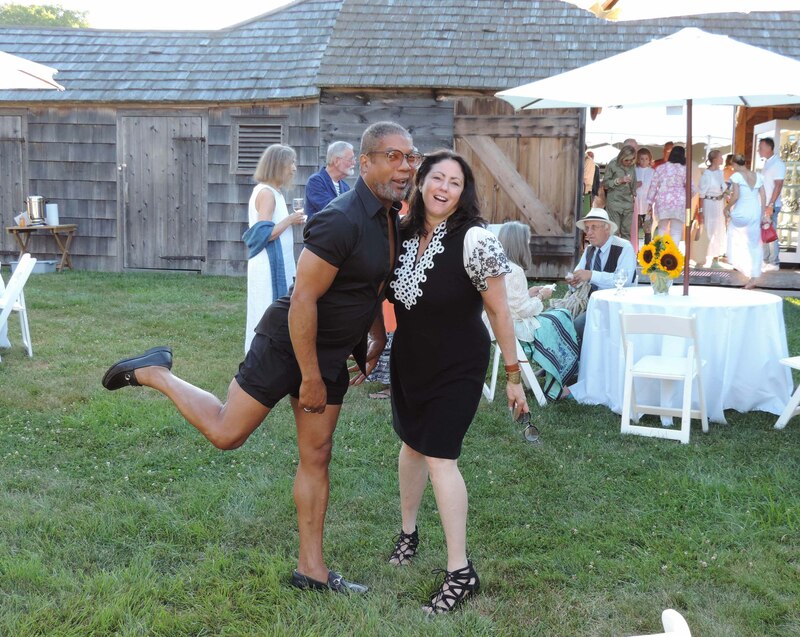 I’ll have what he’s having at the East Hampton Antiques Show Preview Party. 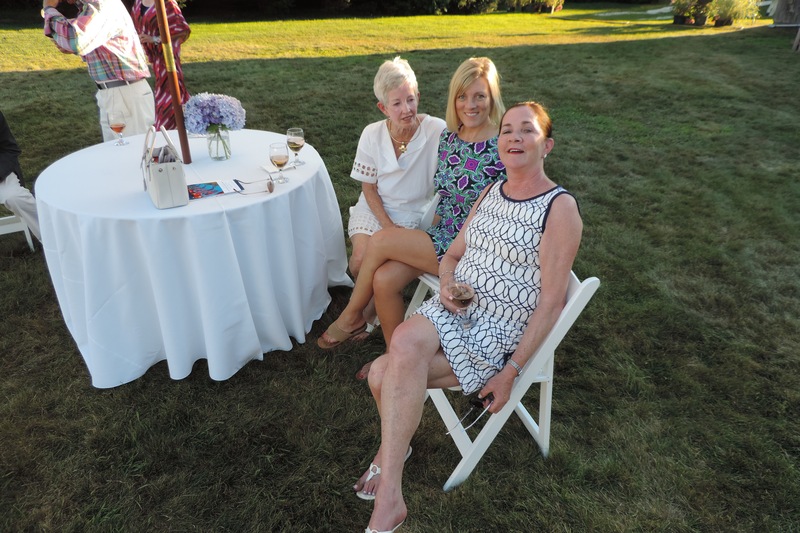 Catering was provided by Bostwick’s & Debbie Geppert Events Catering Co. 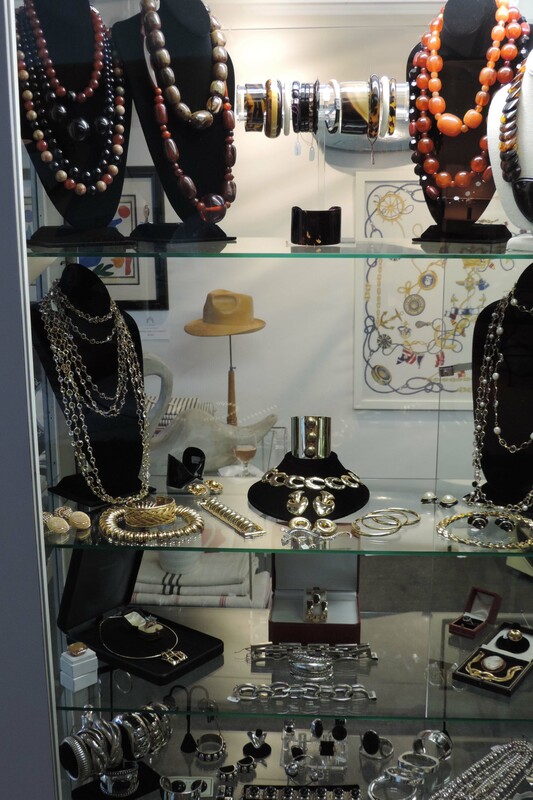 The busiest boutique at the show – I had a chance to talk with Susana who explained how she is a very lucky person and has been blessed with the opportunity to live in many places around the world so I am familiar and at ease with establishing the relationships and working with the different mentalities. 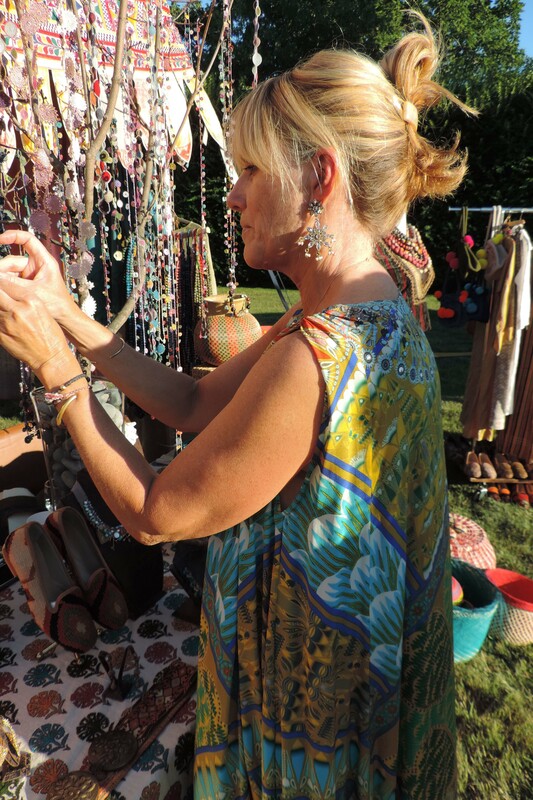 ( Chile, Mexico, Belgium, Turkey and the USA, where she lives right now with her husband and five boys) “I go to Turkey, Morocco, Bolivia, Chile on a regular basis to choose what I post on my shop. 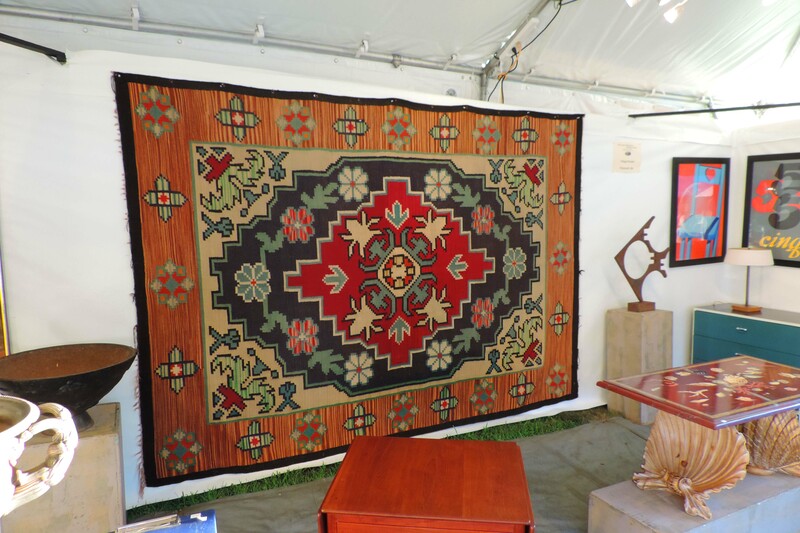 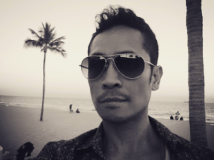 I also go to Europe and Mexico sometimes to get inspired and to fill SUZANI DESIGNS with uniqueness and cool accessories for you and your house”. 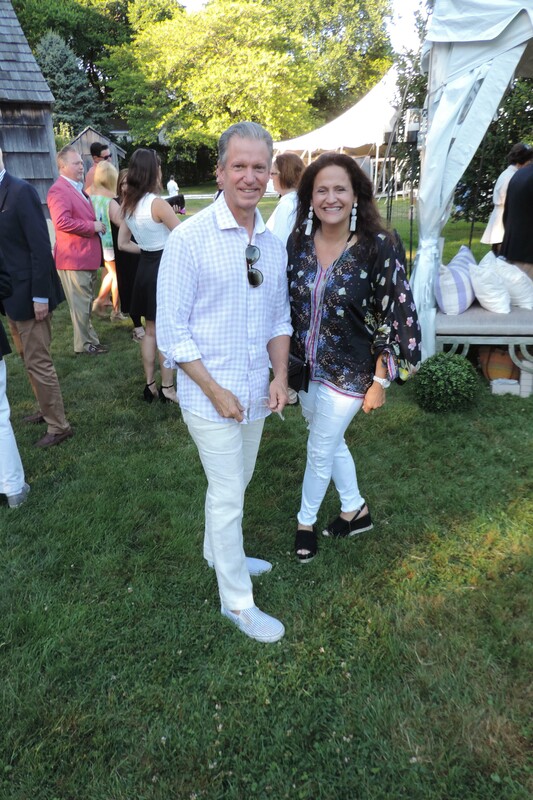 Serious collectors at the East Hampton Antiques Show Preview Party. 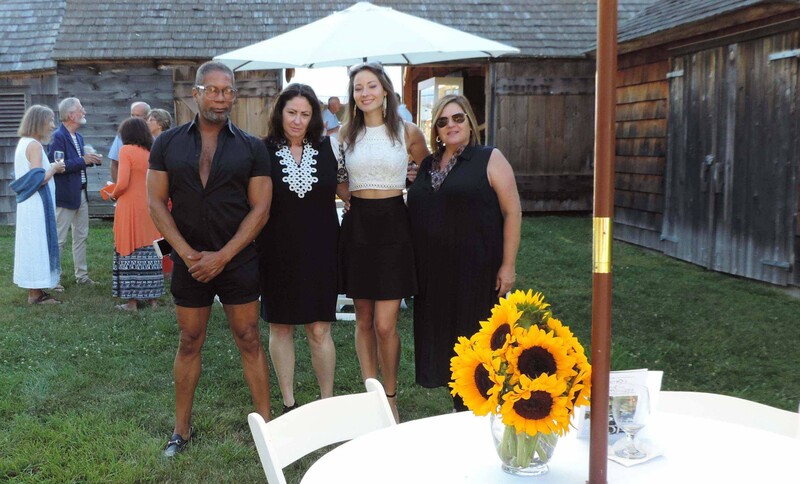 I’m getting over my camera shyness on the3.5-acre grounds of the 17th century Mulford Farm – right in the heart of East Hampton Village. 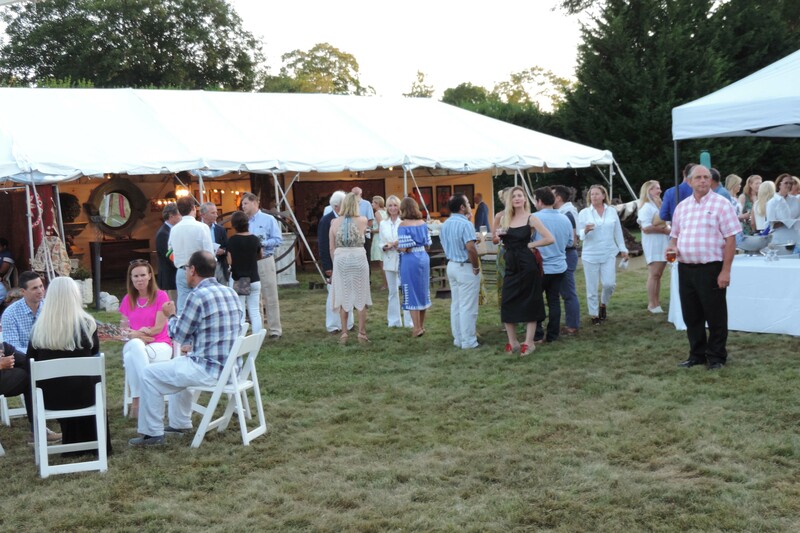 All ticket proceeds went to the East Hampton Historical Society.